Middle &amp; HS Girls Camp BEGINS JULY 17 - Register Today! 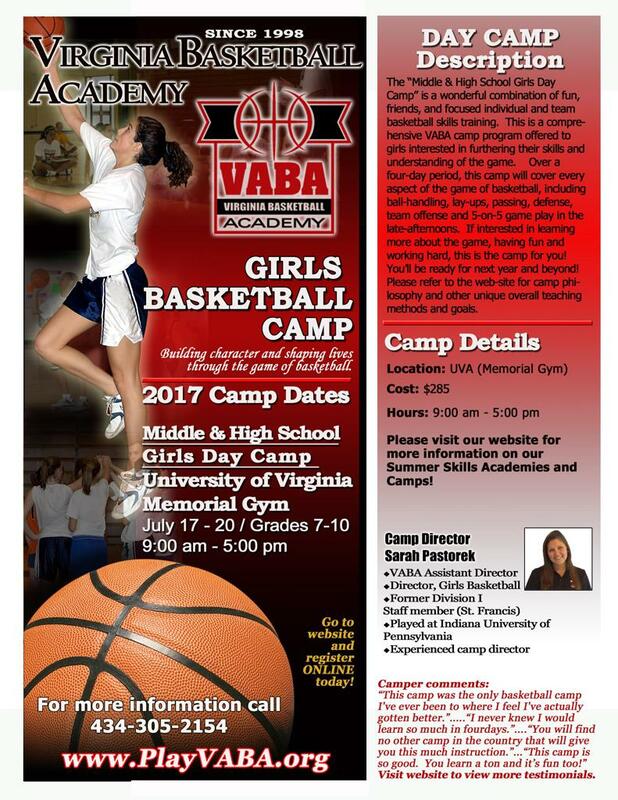 Check out VABA's 2017 Middle & High School Girls Camp! FUN, FOCUSED SKILLS TRAINING & EXPERIENCED COACHES! Click here -->for Middle & High School Girls Camp details!